Finally there’s a truly guilt-free granola. 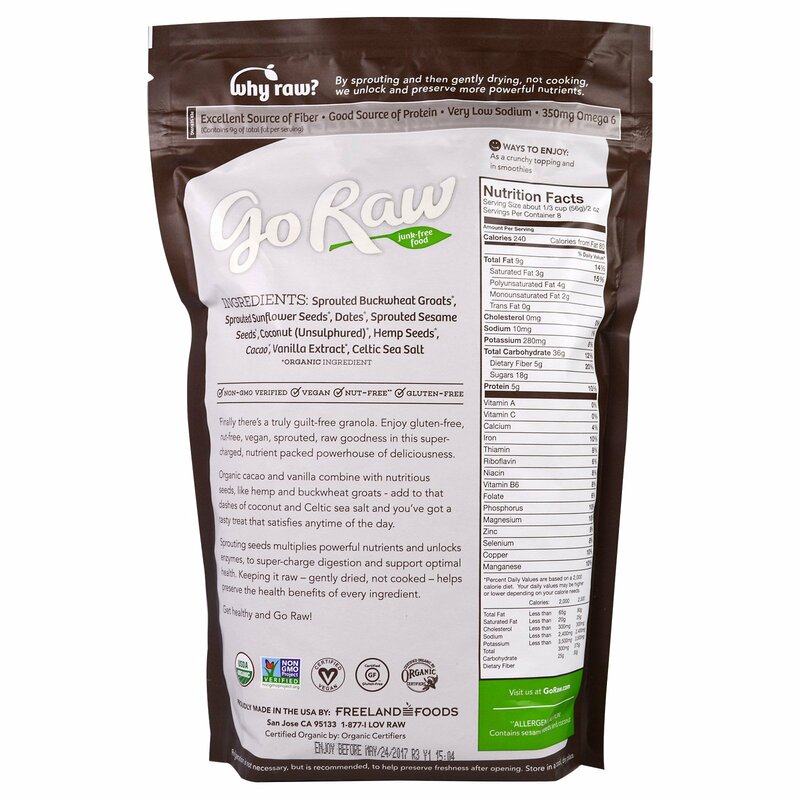 Enjoy gluten-free, nut-free, vegan, sprouted, raw goodness in this supercharged, nutrient packed powerhouse of deliciousness. 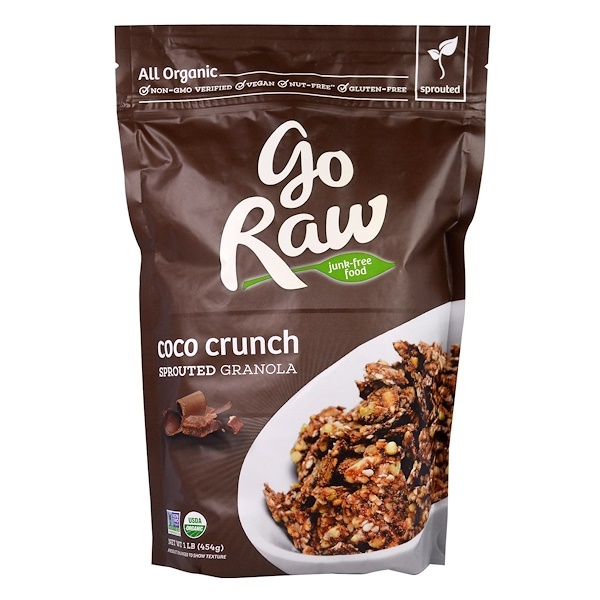 Organic cacao and vanilla combine with nutritious seeds, like hemp and buckwheat groats – add to that dashes of coconut and Celtic sea salt and you’ve got a tasty treat that satisfies anytime of the day. Sprouting seeds multiplies powerful nutrients and unlocks enzymes, to super-charge digestion and support optimal health. Keeping it raw – gently dried, not cooked – helps preserve the health benefits of every ingredient. Get healthy and Go Raw! Ways to Enjoy: As a crunchy topping and in smoothies. Sprouted buckwheat groats*, sprouted sunflower seeds*, dates*, sprouted sesame seeds, coconut (unsulphured), hemp seeds*, cacao*, vanilla extract*, celtic sea salt.